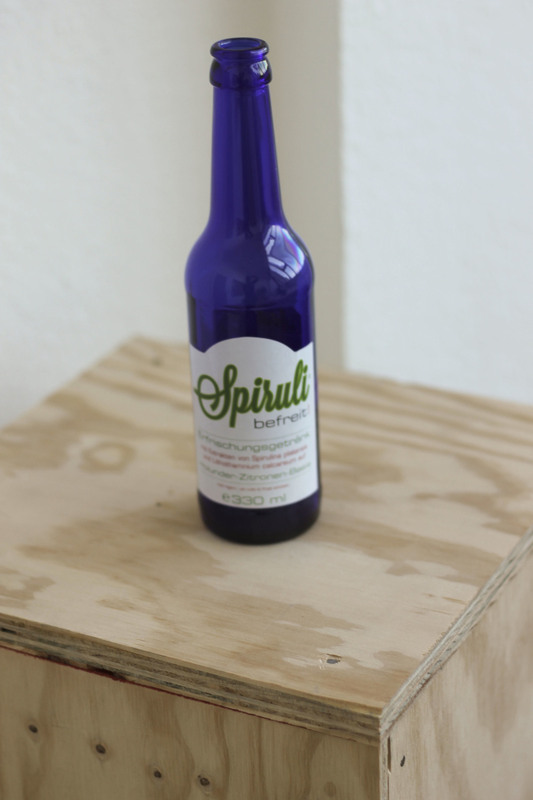 Spirulina ist eine Alge. Die Nährstoffzusammensetzung der Spirulina sowie die hohe Bioverfügbarkeit der einzelnen Nähr- und Vitalstoffe versorgen den Körper äusserst schnell und sehr umfassend mit allem was er benötigt, um jede Körperzelle ausreichend mit Sauerstoff und Nährstoffen zu versorgen, seine Abwehrkräfte zu stärken und sich von überschüssigen Säuren, Giften und anderen Schadstoffen zu befreien. Letztlich bewirkt eine regelmässige Einnahme der Alge, dass die Selbstheilungskräfte des Körpers wieder aktiviert werden. Die in der Spirulina enthaltenen Kalium-Salze verhindern das Eindringen von Viren in die Zelle, da diese beim Andocken an die Zellwand an den Salzen kleben bleiben. In dieser ausweglosen Situation sind sie eine leichte Beute für die Abwehrzellen des Immunsystems. Das Phycocyanin ist natürlich nicht nur der Farbgeber der Spirulina - ganz im Gegenteil. Phycocyanin nimmt aufgrund seiner starken antioxidativen Eigenschaft einen Platz weit oben auf der Bewertungsskala der Wirkstoffe in der Spirulina ein. Das lebensspendende Chlorophyll ist in Algen generell in grosser Menge enthalten - so auch in der Spirulina. Da es vom chemischen Aufbau her betrachtet nahezu identisch ist mit unserem Hämoglobin, dem roten Blutfarbstoff, wird Chlorophyll auch als "grünes Blut" bezeichnet. Wie bereits erwähnt, enthält Spirulina viel Chlorophyll. Daher kann der Verzehr dieser Alge auch zur Krebsprävention oder therapiebegleitend eingenommen werden, denn dem Chlorophyll wurde - neben seinen vielen positiven gesundheitlichen Eigenschaften - auch eine antikarzinogene Wirkung nachgewiesen. Die grossen Chlorophyllmengen, die in der Spirulina-Alge enthalten sind, stimulieren auch die Produktion roter Blutkörperchen. Je mehr rote Blutkörperchen vorhanden sind, umso mehr Sauerstoff kann in die Körperzellen transportiert werden. Je besser die Sauerstoffversorgung der Zellen ist, umso stärker wird der Stoffwechsel angeregt und umso besser funktioniert die Zellatmung. Spirulina-Algen sind als reines Pulver ebenso erhältlich wie in Kapseln gefüllt oder als Presslinge geformt. Die Vermischung des Pulvers mit Flüssigkeit hat gegenüber den Kapseln und Presslingen den Vorteil, dass ein Teil der enthaltenen Nährstoffe bereits über die Mundschleimhaut aufgenommen wird, so dass sie dem Körper besonders schnell zur Verfügung stehen. Die Kapseln und die Tabs haben hingegen den Vorzug, dass sie jederzeit und überall ganz ohne Vorbereitungszeit leicht eingenommen werden können. Tipp: Ab mit dem Spirulina-Pulver in den grünen Smoothie, so wird es ein unübertrefflicher Power-Drink. Spirulina are algae. The nutrient-composition of Spirulina as well as the high biological availability of the single nutrients and vital substances provide the body very quickly and comprehensively with everything it needs to deliver enough oxygen and nutrients to its cells, strengthen its defences and free itself of waste acids, toxins and other harmful substances. Ultimately, a regular intake of the algae will reactivate the body´s self-healing powers. With a protein-content of over 70 percent, Spirulina can be counted among the high-protein viands. Among its proteins are such for which a significant increase in production of disease-controlling killer-cells, T-helper-cells and antibodies could be scientifically proven. Research at the Osaka Medical Center for Cancer and Cardiovascular Diseases in Japan could show that the activity of the phagocytes significantly increased after the intake of spirulina. In this way, the Spirulina-Algae support the immune system in fighting of infections of all kinds. The calium-salts contained in Spirulina prevent the invasion of viruses into the cells since these get stuck in the salts when they try to dock at the cell walls. In this dead-end situation the are easy prey for the immune system´s defence cells. 3. Spirulina can reduce allergic reactions. A study from the year 2005 in the Journal of Medicinal Food has revealed that Spirulina could prevent allergic reactions of people who suffered from Rhinitis (inflammation of the nasal septum). Additionally, it could be shown that if used in the treatment of hayfever, skin allergies and other allergies, Spirulina contains certain substances that hem the output of Histamine. A study with patients suffering from Diabetes type 2 revealed that at a daily intake of only 2g Spirulina the concentration of blood sugar could be lowered. Simultaneously, the total cholesterol level was reduced, as was the LDL-level while there was a rise of the HDL-Level. Additionally, scientists found out the the blue-green pigment of the Spirulina-Algae - the so called phycocyanin - can regulate the blood sugar level. Furthermore, phycocyanin reportedly can be used in cases of high blood pressure and can also heighten the adiponectin-level. Adiponectin plays an important part in the regulation of one's sensation of hunger. A high adiponectin-level causes us to feel less hungry. Phycocyanin of course is not only the colour-element of Spirulina-algae but due to its antioxidative quality ranks high on the rating scale of the active agents of Spirulina. Along with beta-carotene which is also contained in Spirulina as well as a few other radical quenchers (vitamin C and E, selenium) it hems the arising processes of oxydation which can damage the cell walls. Damaged cell walls can cause inflammatory processes which can spread throughout the whole body. In this context it is important to know that the cause of many diseases is due to such prior inflammatory processes. Generally, live-giving chlorophyll is contained in algae to great amounts – this also goes for Spirulina. Since its chemical structure is practically identical with our hemoglobin, the red colour-element in our blood, chlorophyll is also called “green blood”. The similarities of chlorophyll and hemoglobin also make clear the significance of chlorophyll in respect to health, for its tasks within the body are vital. As mentioned above, Spirulina contains lots of chlorophyll. For this reason, the algae can be ingested as means of cancer prevention or in accompaniment of a therapy: Chlorophyll has been shown to have anti-carcinogen effects in addition to its many other health-boosting qualities. The great amount of chlorophyll contained in the Spirulina-algae also stimulate the production of red blood cells. The more red blood cells there are, the stronger the motivation of the metabolism will be which again will improve cellular respiration. These factors contribute in keeping all cells of the body in good health and support the regeneration of weakened cells. All in all the sufficient amount of chlorophyll in the body increases the live-span of the cells as a whole so that the physical as well as the psychological aging-process are slowed down simultaneously. Many people who regularly supplement their diet with Spirulina report a significant improvement of their mental capabilities. Since Spirulina contains uncommonly high amounts of L-Tryptophan - an amino-acid that produces the neuro-transmitters melatonin and serotonin – the algae is regarded as a great means to improve one's mood, one´s memory and to calm the nerves. The striking amount of glutamic acid boosts brain activity so mental signs of fatigue and concentration disorders are noticeably reduced by a regular intake of Spirulina. This effect makes Spirulina an ideal food supplement for children and youths. Because of its high nutrient-density, Spirulina is an ideal food supplement for everybody. It balances deficiencies in the level of nutrients and vital substances and therefore is a blessing for adherents of a fast-food-diet as well as for children, the elderly as those who have an increased need because of physical or psychological stress. Spirulina as powder, capsule or pellet. 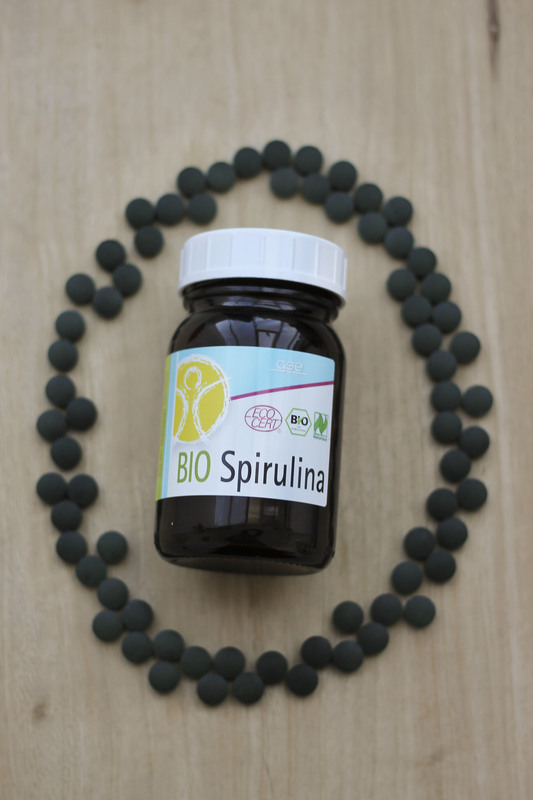 Spirulina-Algae are available in pure form as powder but also pressed to pellets or filled into capsules. Mixing the powder with fluids has the adavantage in comparioson to the capsules and the pellets that a part of the nutrients contained in them are already absorbed by the buccal mucosa so the body can access them very quickly. The capsules and pellets on the other hand have the advantage that they can be ingested any place, any time without preparation. Tip: Pour your spirulina powder into a green smoothie, it will become a superlative power-drink in this way.